Design pervades all spheres of life in the urban setting today. This field has particular reference to daily life and not only to architectural relics of the past. It is more an expression of artistic creativity in form and shape, put together for greater convenience and style in living. This includes Interior Design, Fashion Design, Textile Design, Gems and Jewelry Design and Industrial Design. Industrial Design has assumed importance because of industrialization in the country. The designer has to be creative, this is beyond doubt. Art can be taught, creativity comes partially through inheritance and also through nurturance. Dynamic style and attitude to work will certainly ensure good professional growth. 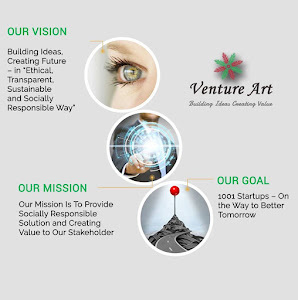 An aptitude for sketching, drawing and communicating ideas through the art form are prerequisites for success in this profession, three dimensional perceptions, understanding figural relationships are abilities which will be needed. Generally designers have interest in trying out new ideas, experimenting with thoughts and are rather imaginative. They have lots of ideas and like to visualize. Most designing fields are open to the school leaver. Growth in the career, nevertheless, depends upon innovativeness and expression in terms of form, medium used, shape, as well as functionality. Designing has most certainly become a very technical field. Creativity generally finds expression in several ways. When changing to a creative career, the aesthetic talent may be used in entrepreneurial work, e.g., in designing pottery, craft, handwork, embroidery, jewelry, etc. Mass media today has invaded the life of almost every individual influencing his perception, thoughts and action. A radical change in society is noticeable. The satellite and electronic Communication systems have made cross cultural exchange possible, bringing people in all parts of the world closer. This dynamic change has generated a vast spectrum of careers in, e.g., print Media, audio visual communication and also in the commercial use of these mediums. I am defining careers in advertising, journalism, radio transmission, visual communication and also performing art which forms important ingredients in this Mass Communication network in mass communication. Mass Communication today offers a wide variety of jobs. Each job requires a varied combination of abilities, interests and personal traits, e.g., while the news reporter must have good verbal ability, social attributes and a curious bent of mind, the transmission executives job demands technical and organizational skill. In the 'ad' agencies there are artists, copywriters and client executives; all with diverse ability and personal traits. The job description, educational qualification and training facilities given in each Chapter will help you match your personal attributes and choices to find a place for yourself in very dynamic profession. If your potential match the job, then growth, linked with success, is almost guaranteed. Mass Communication offers entry to anyone who has a flair for writing, who can effectively communicate and who' can perform. It also offers avenues for coordinators, financiers, managers, communication technologists etc. This profession in fact could accommodate any Person who is creative, enterprising and dynamic. Management is one of the most popular career and one of the most rewarding for the persons coming from different streams of education. Management is a factor in every enterprise business and government organization - in fact any operation in which one person directs another. The need for management has grown out of the increasing complexities of world activities today for any field and organization, no matter what its activities are. Here I am will explain about the most popular management fields - Hotel Management, Travel and Tourism Management, Finance and Business Management and also about the emerging fields of Forest Management, Personnel Management, Construction Management, etc. Analytical, interpretative and assimilative mental activity is an asset for the aspiring Manager. Various branches of management require special skill, e.g., the Marketing Executive must be motivated for peak performance, the Finance Manager must have better numerical skills, etc. Successful executives, however, share a number of characteristics; perhaps the most universal of those is the willingness to work hard. Long work hours, travel on the job, work at home and a 7 days-a-week schedule are accepted as matter of routine by most Managers. The individuals who think of a job as strictly 9 to 5 will probably not be happy in the management career. Another trait needed is the ability to get along with people, to will their respect and motivate them for peak performance. Finally, successful Managers never allow stop to their intellectual growth. All branches of Management can be entered after 10+2. The Bachelor’s Degrees in Business Administration, the Graduate Course in Travel Management are popular courses. Hotel Management too permits entry after +2 and later after graduation, MBA, CA, etc. Those who have made up their minds to enter the field of management may decide according to their academic acumen. I feel strongly that skill development is better among early entrants while graduates and post graduates are promising senior executives particularly if they enter after a graduate course from a competitive institute. Management can be entered at any stage. It has tremendous scope for mid-life jobs seekers. The seasoned managers are welcome in the private sector of business as well as in management schools as teachers. The expertise they have acquired over years in their previous job gives them an advantage in this field of work. In this topic I am explaining an insight into professions related to Finance and Accounts. Accounting records and book keeping methods have been used from early periods of history down to the present time. Modern accounting began with the technique of double entry bookkeeping in the 15th and 16th centuries. With the Industrial Revolution, business became more complex and the need for accounting methods grew. Development of governmental and industrial institutions in the 19th and 20thcenturies made it imperative to have accurate information and records for taking decision on economic procedures and management policies and to publish periodic reports for both public and private use. The demand of such services has grown to an extent that accounting and finance are one of the largest fields of employment. From routine book keeping to planning in perspective, the study and work differ to a large extent in terms of personal attributes. Accountant needs to be meticulous, neat and regular, a Chartered Accountant needs to be intelligent, precise and a good manager. The Finance Executives are close to the top people in this field and need to be very logical and-sharp in their approach. Dynamism, professional brilliance, excellent interpersonal skills and problem solving skills are required to reach the top echelons. An aptitude for thinking logically, clarity of both oral and written expression, neat, accurate and orderly habits of work, sound judgment and the ability to make decisions based on such judgments are needed. A college student aspiring to enter this field must be certain that to reach the highest rungs he must be academically superior as well as socially precise. Mediocrity in performance entitles one to the middle level routine functions; however, you are well paid and hold responsible positions. Entry points are many, e.g., after +2with diploma courses, after / or with graduation and professional training, after post graduate professional courses. What is vital is the expertise derived from practical experience which is at the core of progress in the career. Many go into professions by accident or chance. This field permits late entries. For those keen on switching to this field of work can refer to the section of ICWA, Financial Analysts, Actuarial Services. I have placed information about the Legal Profession .and Civil Services. These two Professions, to my mind, are protectors of the laws of the land - the lawyers interpreted the law and the civil servants run the administration of the State according to the guiding principles of the State. Legal professionals have wider career options today than in the past. Besides the portals of courts, they are seen in the corporate world as Legal Advisors, as Consultants for legal matters and even as Company Secretaries. The Civil Services have retained its glamour over the years for young aspirants. Many-vie for this coveted service but few make it. Personal Qualities, Aptitudes and Interests, Serious efforts , wide awareness and a genuine interest in national and international affairs are perhaps the primary qualities which lawyers and civil servants must possess. One with a logical mind, caring about human affairs, somewhat a philanthropist, would perhaps be best suited to these professions. In terms of aptitudes, the profession requires logical reasoning and verbal competence. Ability to work with details, special personal characteristic of being meticulous and organized, and an outgoing nature are perhaps essential assets. Social skills are vital and understanding human relationships is important for both professions. A bureaucrat needs also to have innate leadership ability. You can study Law after the 3 levels of entry, viz., after 10+2, after 10+2+3 and at the postgraduate level. Career progression is primarily hinged to developing practical skill and acumen. If you hitch your wagon initially to a leading lawyer, perhaps you get a better grasp of the profession. There is no age bar to learning. The correspondence or open education system permits entry into the portals of learning to people of all ages. Higher studies in Humanities or Commerce need only an inclination to learn. Facilities are growing and the educational opportunities are extending to remote corners of the country. The teaching field covers abroad area of occupations : teachers in public and private schools-kindergartens, in elementary schools, in public and private secondary schools ias:~hool administrators/ supervisors, counselors and other specialists in elementary and secondary , schools; professional personnel in colleges and universities; professional staff members in professional organizations, education departments of the government and educational bodies. Teaching is in a state of revolution due to the growing and expanding profession and the critical opinion of the recipients of education. Hence this profession needs to be considered with some thought. Teaching is a profession to the degree that its members are professionals. An educated person who qualifies as professional in any level or sphere of education, possess specialized skills and knowledge Essential for the performance of his job, makes rational judgments and acts accordingly, accepts responsibility for the consequences of his judgments and actions, believes in service to society, assumes responsibility with his colleges and seeks new knowledge and skills to improve his/her knowledge. Those interested in growth' and the development of the young should only aspire for taking this challenge assignment in the present day society. Teaching and learning goes through out Life. Private tuitions have become the occupation of several retired persons. Technical and professional institutions look for consultants in various fields of education and who can be more appropriate than someone who is experienced and free to contribute his/her time for educating the young. This Cluster is on Protective Services and includes Military/and Para Military careers. The largest among the protective services of the nation are out Defense Services - the Army, Navy and the Air Force, Para Military services such as Central Reserve Police Force, Indo-Tibetan Border Police, Border Security Force, Coast Guards and Central Industrial Security Force are some of the major Para Military forces. Job seekers looking for challenge, adventure and those with a nationalistic feeling, often wish to know about the Armed Forces. Armed Forces offer almost everybody a place. However, the requirements, in terms of physical fitness and personal discipline, for any branch are rigid. Service before self is the motto you would be expected to follow. If you are physically fit and like disciplined, adventurous, challenging life, study each job entry carefully and then select when and how you wish to join the Military/Para Military Services. Promotions and growth are to a large extent time bound or based on professional performance. There is little scope for a retired person to enter the armed forces; however, retired service personnel can seek re-employment. Para Military Services, however, welcome retired armed forces personnel for positions in this organization.